Worthy of your hard earned dough? The Dough Thrower, Victoria Park, Cardiff. 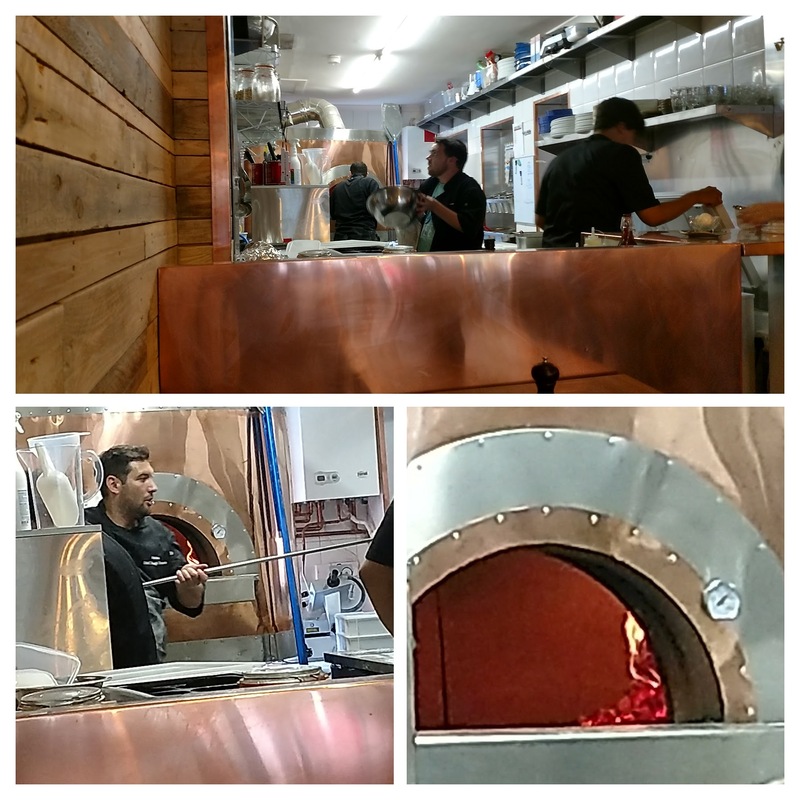 The Dough Thrower, a new wood fired pizza place opposite Victoria Park, has been a long time coming. 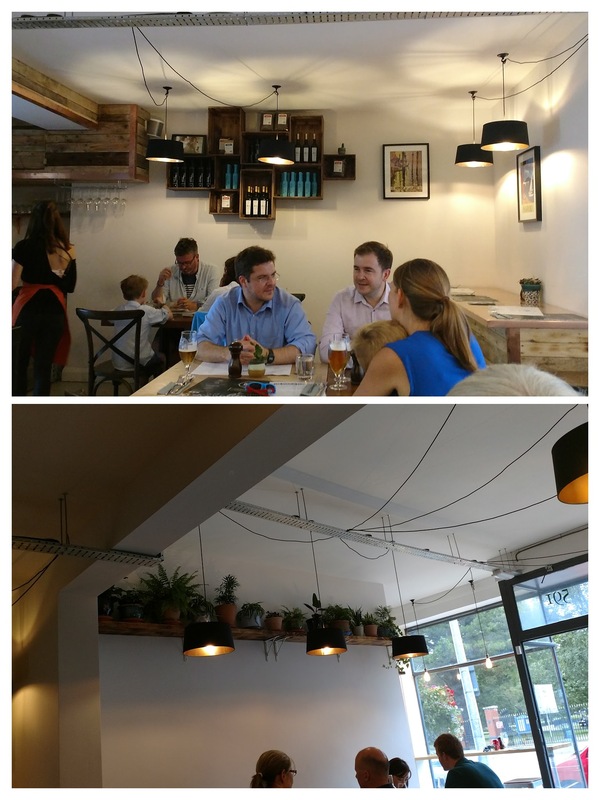 I have watched with interest the transformation of the previous incumbent (a somewhat peculiar tea shop) on the site into a rather swish looking pizza gaff for what seemed like an eternity, with progress at a glacial pace. At one point I told Mrs. SF that I wasn’t sure if this place or, that most infamous of building work overruns, the Segrada Familia in Barcelona would be finished first. 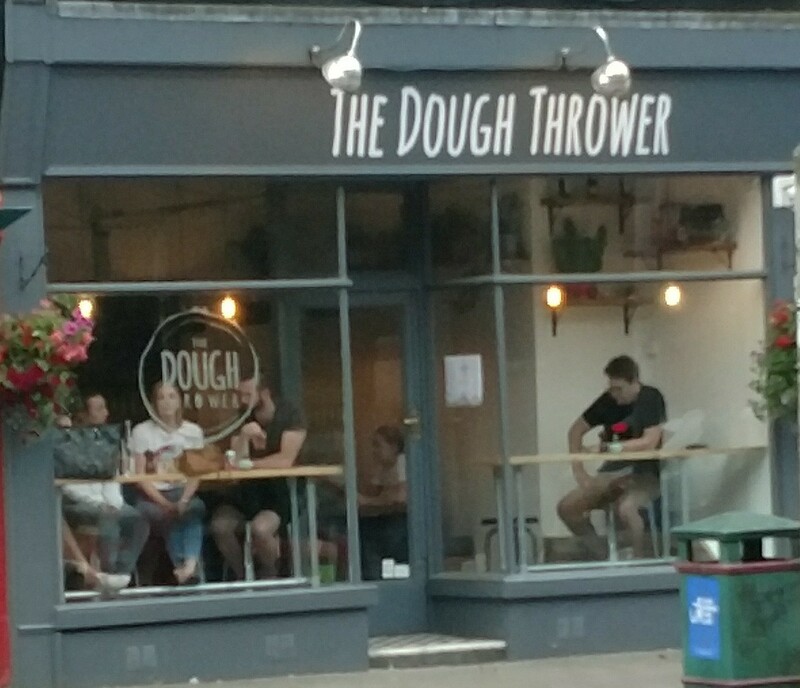 Now the Dough Thrower is up and running, it provides for another option on the increasing interesting strip opposite Victoria Park and surrounds. You have excellent Gujurati veggie food at Mangla’s Spice of Life, decent (wish they didn’t use palm oil mind) fish and chips at Fintans, French crepes at La Creperie de Claude, occasional (times rather than style), properly good, Mexican food at Parc Deli under the guise of Mi Tierra and, not forgetting of course, the lovely Pettigrew Bakery. Not being arsed to cook one Friday night and it being newly opened and a little bit closer to my Llandaff base than the always excellent Dusty Knuckle and Calabrisella, Mrs. SF and I took a chance (no bookings currently taken) and strolled down in the hope of bagging a table and getting a quality pizza. Even at 6.15pm it was packed, but thankfully they managed to squeeze us in. With the open kitchen and a behemoth of a pizza oven being the focal point. The rest is nicely done, smart but not blingy. I rather liked it. One thing I would say is the tables are a little on the small size. We struggled a bit on the space front with wine, water and two pizzas. As I am a clumsy bugger, it was a minor miracle that I didn’t knock a glass/ bottle over. Others, whilst we were dining, were not so lucky (the house dustpan and brush was all too frequently deployed). 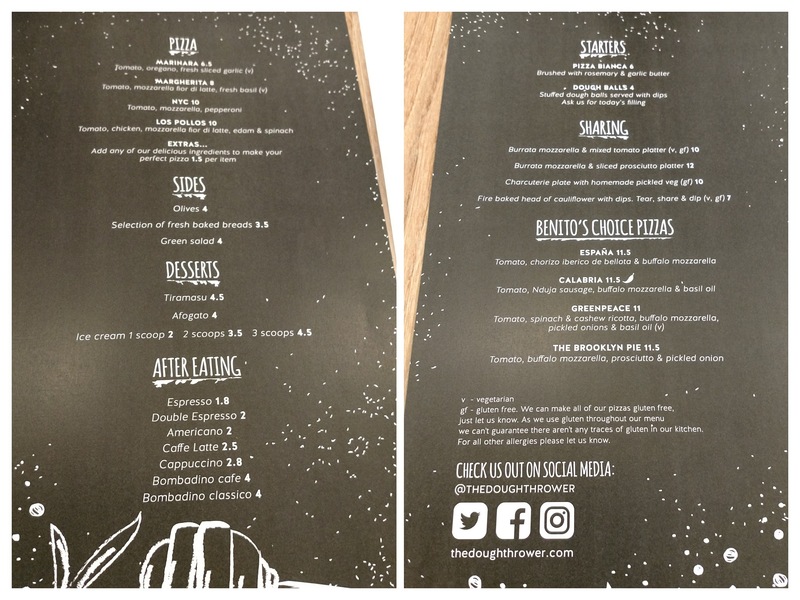 The menu includes (in addition to the pizzas) a short list of sharing plates based on cheese and charcuterie and other starter type affairs (dough balls and a pizza bianca). We went for the charcuterie and pickled veg. Sharing plate (£10), as neither Mrs. SF nor I fancied having double dough. 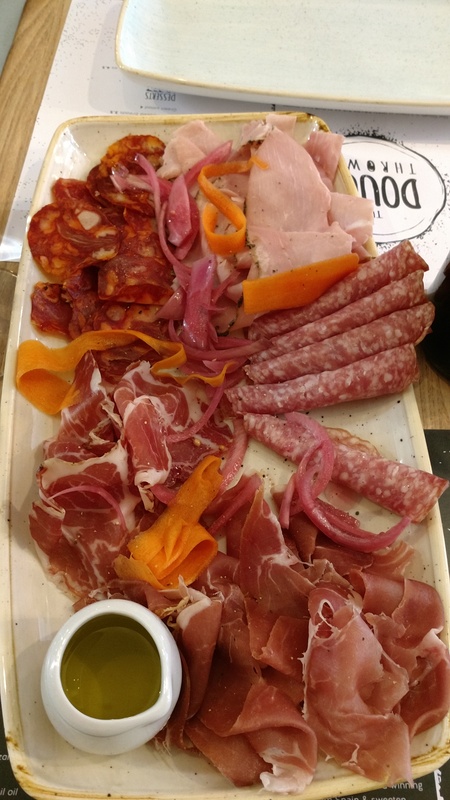 What arrived was a very decent selection of quality cooked and cured meats (prosciutto cotte, prosciutto di Parma, coppa, Milano salami and chorizo) and some lovely pink pickled onions and rippons of pickled carrot. The prosciutto di Parma and pickled onions particularly impressed. A very promising start, with my only qualms being it could have done with more of the pickled vegetables and perhaps some bread (particularly with the pot of citrusy olive oil it came with, which was just crying out from some bread to drizzle it on to). 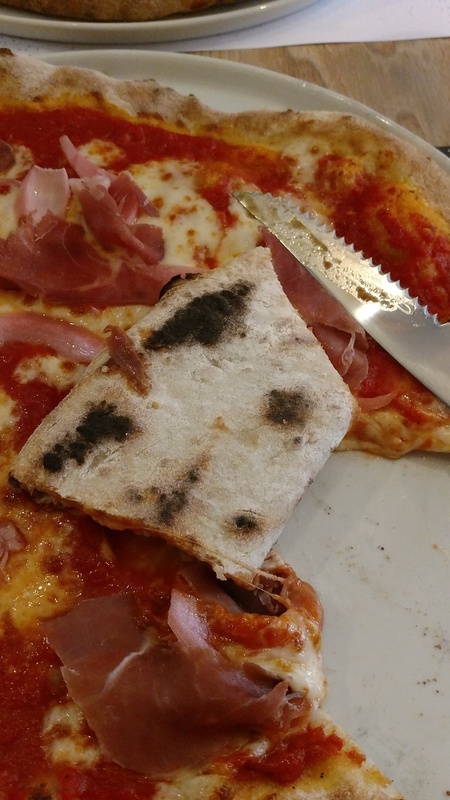 Also I personally prefer Napoli salami to Milano (with the former, Naples being the birthplace of pizza, to me more in keeping with the pizza focus of the joint), but that is just me. On to the main event, I usually go simple with a pizza (I tend to think a margherita is the best test of a pizza place as there is nowhere to hide with that most basic of cheese pizzas). I, however, really enjoyed the prosciutto di Parma and pickled onions on the sharing plate and fancied a second helping. On this basis, I went for the Brooklyn Pie (£11.50). This had a lovely thin (properly cooked, but not too crispy) base with a very pleasing chew to the crust. The marinara sauce was top notch and the mozzarella was the proper buffalo stuff, with a lovely creaminess to it (a million miles away from the ice hockey puck stuff you get in the supermarkets). 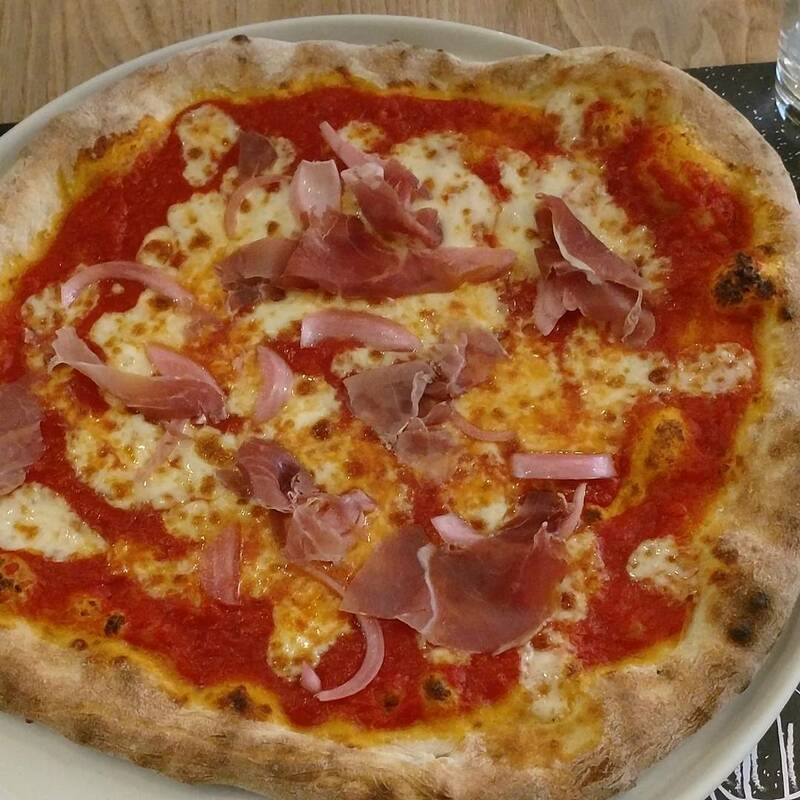 Add to that some quality prosciutto do Parma and pickled pink onions and what I got was a really rather good pizza. Mrs. SF’s “go to” pizza is a pepperoni and she is very particular as to what she likes. Her NYC (£10) was, if anything, better than my Brooklyn Pie. A crust (again with an agreeable chew), raised on steroids, towered above the thin well cooked base. It had the same quality marinara sauce and buffalo mozzarella as was on my Brooklyn and pepperoni was good quality stuff. All in all it made for a cracking pizza pie. Puddings are short and sweet (ice cream and tiramasu). I was too full for a pudding and as the tiramasu was off (she was going to have it) Mrs. SF also declined. Slightly odd wine list, with the only Italian wine the ubiqutous prosecco. Unsurprisingly Italian wines go very well with pizza and it is a shame there weren’t any Barbara di Asti or Alba, Sangiovese or Abruzzo di Montepulciano wines on the list (all good pizza wines), which (bar from the Prosecco) is curiously dominated by wines from the Iberian Peninsula. A tribute to the fact that the Spanish, via the conquistadors, introduced the Neapolitans to tomatoes (and thus put them on the road to most pizzas) perhaps? I doubt it, but you never know. 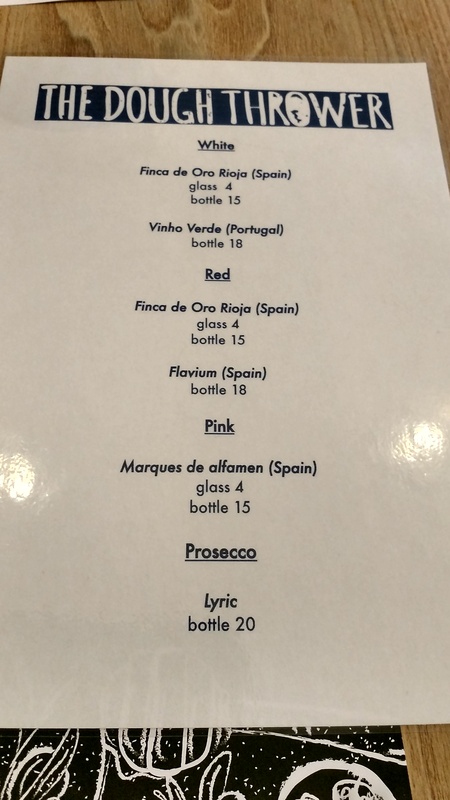 Mrs SF and I had fun with the Flavium wine on the list (a Mencia which was £18, wholesale price £6.53), musing as to where it might sit on an alternative periodic table. Would it be between Nicedropium and Oohthatisrathergoodium or closer to Abitrankium and Bestputitonchipsium? 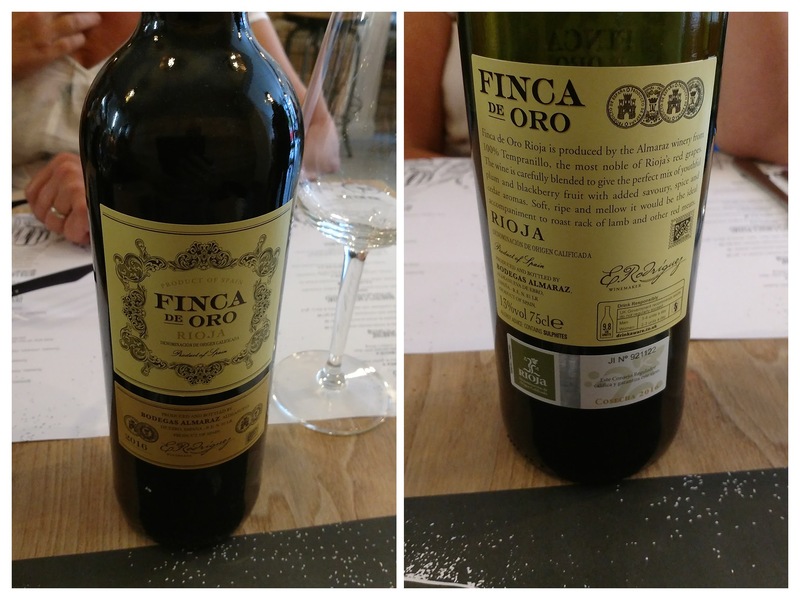 Despite our “periodic table” banter with the Flavium, I decided on the Finca de Ora wine as I thought (wrongly – confused it with another wine that went rather well with a pizza at Dusty Knuckle) it was a wine I had had before. At £15 (£6.20 wholesale price I believe) it was fairly cheap (nice to see they are not too aggressively marking up, with nothing over £20 on the list) as I have found this wine at over £23 on a list elsewhere (God knows how they justify that price mind). Not the best rioja I have tasted by some considerable distance and a bit too close to abitropium for my liking (sorry couldn’t help myself). It was, being kind, shall we say a touch on the rustic side. Much better with the food than on its own, but still not that great. The list seems to be made up entirely from wines provided by Crown Cellars, a company owned by Carlsberg UK, whose wholesale prices look quite pricey to me. It would seem that when Carlsberg do wine lists they are about as good as their lager! 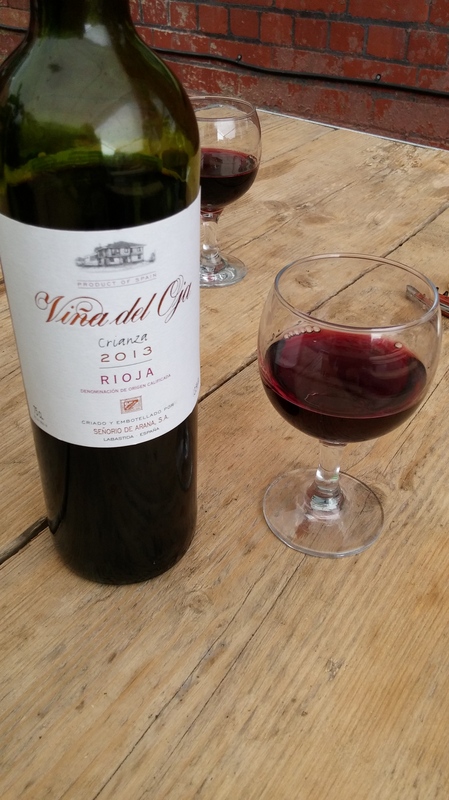 Personally, if they want a decent entry level rioja, I think they would be better off nipping down to Aldi and picking up their Baron Amarillo Reserva (£5.49). They could pick up Aldi’s very good Gavi (£5.49) whilst they are there and then pop into Lidl and get some of their Chianti (£5.49). Those wines would perk up the list a bit to my mind and seemingly also save them some money. They seem to only have one beer on tap, Poretti (part of the Carlsberg stable), which is £3.75 (no mention of it or price for it on the menu/drinks list, but I know the price as they gave us wrong bill). In terms of soft drinks, I saw a table near us had a can of San Pellegrino. I assume they also have the usual soda suspects available. Again nothing on the menu, so no idea re prices am afraid. Decent selection of coffees etc. including the rather alarming sounding Bombardino cafe (an Italian ski resort favourite), which involves advocaat, brandy and whipped cream with an added espresso shot (they also have the bombardino classico – which dispenses with the coffee). Can’t say either are my type of thing even in the Winter months, let alone in mid. Summer, but I am sure there are people out there who will think it “the bomb”! I really enjoyed my meal here. 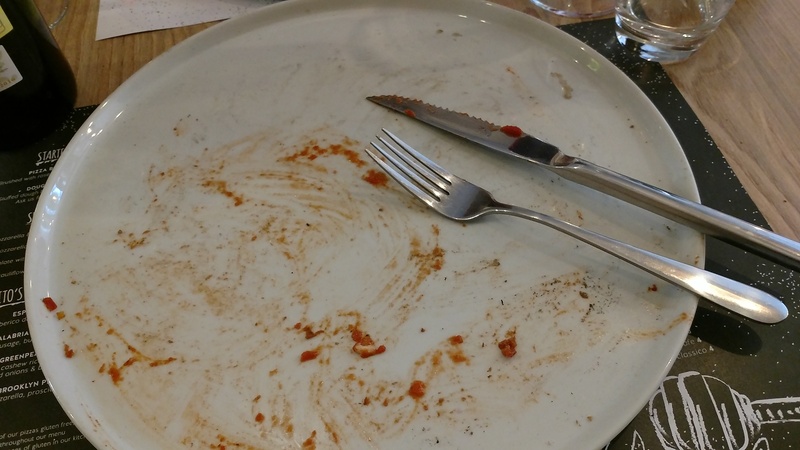 Decent anti – pasti and a very good pizza, up there with the nicest I have had in Cardiff (as my empty plate testifies). Mrs. SF was equally happy with her pizza and when it comes to a pepperoni pizza she is not easily pleased (so that is praise indeed). They gave us the bill wrong to start with, but being scrupulously honest (all us lawyers are🙄) I pointed this out and we got the right (larger) one. 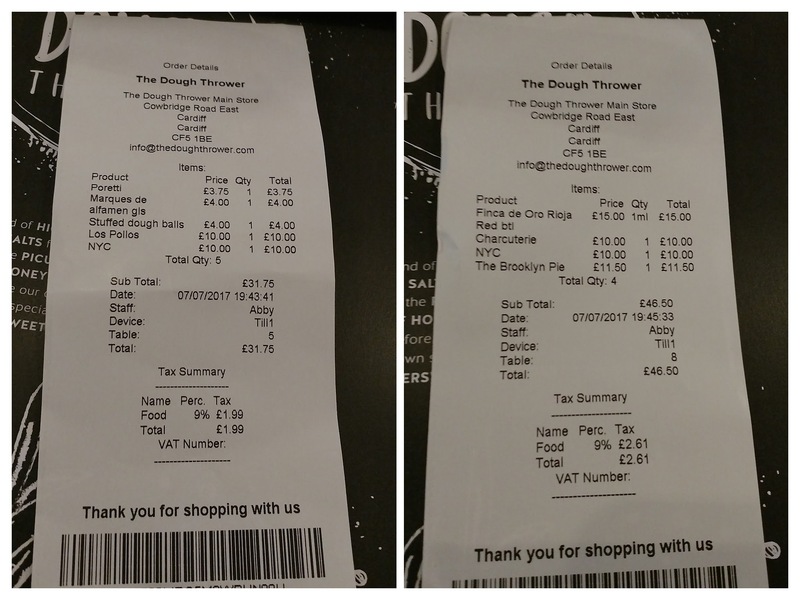 At £46.50, including booze, a sharing plate starter and 2 large pizzas, it was I thought very good value. Service was pretty good. They were manically busy and I feared at one point they would be overwhelmed, but they managed the hordes pretty well. Wine list could do with a revamp (with some “pizza loving” Italian wines put on it or at least some better Spanish wines), but otherwise I was very impressed. Would I go back? 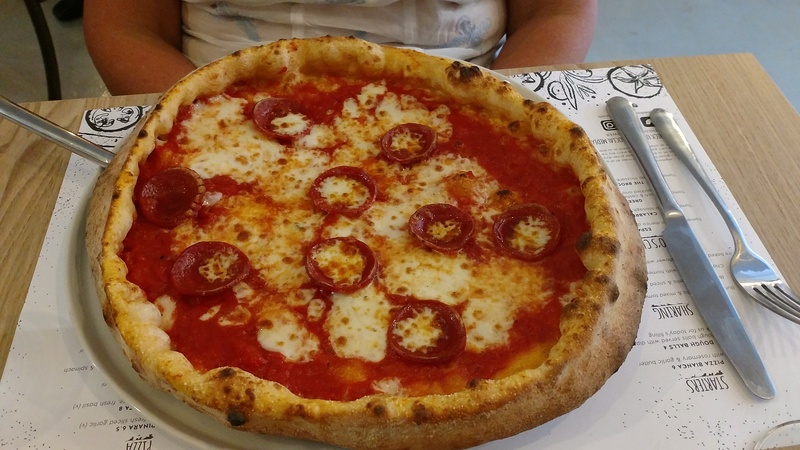 Definitely somewhere I would happily spend my hard earned dough again – one of nicest pizzas I have had in Cardiff (and there is plenty of stiff competition on that front). They will at some point also be doing takeaways and I can see me availing myself of that aspect of their offering in the future. Now what is needed in the Victoria Park area is a good boozer/wine bar. The decent ones (e.g. the Lansdowne) are a bit too far to pop into for a beer/glass of vino whilst waiting for a table to free up, a takeaway or after finishing off a pizza here. Opening hours: Wed- Sat: 17.00 – 22.00, Sun: 17.00 – 21.00, Mon- Tues: closed. This entry was posted on Jul 16, 2017 by solicitingflavours in Alcoholic drink, Beer, Cardiff, Cardiff restaurant, charcuturie, cheese, coffee, desserts, Drink, Dry white wine, Dusty Knuckle, Food, Food and wine products, Italian, Italian wine, Italy, Mangla's Spice of life, Mencia, Mi Tierra, New restaurant Cardiff, Non alcoholic drink, Pizza, Portuguese wine, prosciutto, Red Wine, restaurant review, Rioja, Rosé, Spain, Spanish wine, Take away, Takeaway, Tempranillo, The Dough Thrower, Uncategorized, Vinho verde, Wales, White wine, Wine, wine mark up, wine pairing, wine pairings.